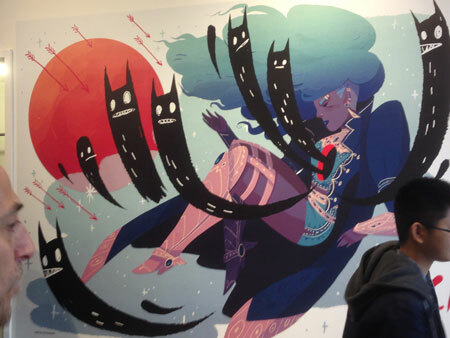 MoCCA Festival, presented by the Society of Illustrators and the Museum of Comic and Cartoon Art, was held at Metropolitan West in New York City on April 2 and 3. Tim was there, and talked with a lot of folks who were tabling about their work. Follow along with the photos below as you listen, and click the links to check out their work! 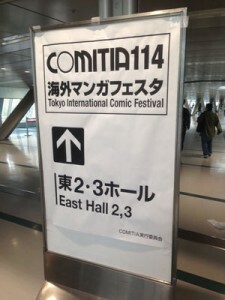 This week our coverage of Tokyo’s International Comics Festival concludes with creators from Finland, Brazil, France, Japan, Indonesia, and the U.S., including a chat with podcast co-founder Mulele on what he’s learned in the past year of convention tabling. 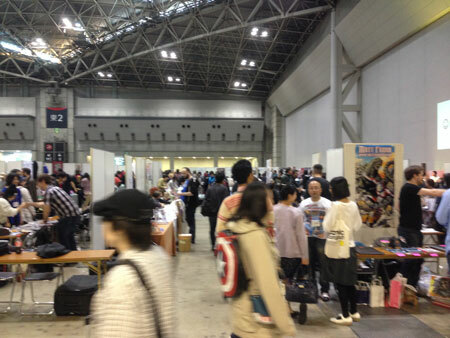 This year’s International Comics Festival (Kaigai Manga Festa) in Tokyo was bigger than ever! Plenty of familiar faces from past years gave it a sense of community (long sought by many foreign comics creators feeling rather isolated in Japan), but there were plenty of new faces, too, many of whom flew in from Europe and North America to be here. Tim once again procured a media pass and went booth-to-booth gathering interviews! Photos and Web links for all interviewees are below. Brian Schirmer, a comics educator in San Francisco and writer of Ultrasylvania and the forthcoming Image series Black Jack Ketchum, joins Tim this week to talk about the difference between writing screenplays and writing comics; how he turned his comics script into a for-credit class for artists; tips that have led him to have both successful crowdfunding projects and good sales at conventions; and more. Our frequent guest Tom Spurgeon this time sits for an interview with Tim, discussing his childhood interest in comics; his lousy pre-Comics Journal job & how he got into TCJ; the Top 100 comics of the 20th Century issue (and why nothing by Dave Sim made the list); his new job, organizing an annual comics festival with the Billy Ireland Cartoon Library and Museum; the controversy over a certain recent Batgirl cover; and more.